Mindfulness groups have been proven beneficial for many different health issues, particularly to manage depression, anxiety, chronic illness, pain and various kinds of stress. They may help you with other conditions, too. These groups are part of an ongoing study researching how different amounts of mindfulness incorporated into primary care can help patients improve healthy behaviors. The study mindfulness groups meet once a week for 8 weeks, from 6:00-8:00 PM; you will either join a group right away or in 6 months. The study lasts for 6 months for everyone. Each group has up to 12 participants and is led by two co-leaders who are CHA providers. A specially-designed curriculum introduces new mindfulness practices each week, and includes sitting meditation, walking meditation, mindful movement, self-compassion, and informal practices, too. Each week you’ll get a chance to practice these and talk about experiences with the group. There is also an all-day session on a Saturday. These programs are made possible because of research grants awarded to study healthy behaviors and integrating mindfulness into healthcare. Your participation will enable further research into how mindfulness skills benefit primary care patients. The group itself is NOT research – the curriculum and facilitation are based on a well-established clinical program. Our research focuses on how to adapt this curriculum to achieve maximum benefit within primary care settings. Track your health with a Smartphone app* through short daily surveys for 5 weeks. *A smartphone is required for participation in this study. You will be compensated for these efforts in the form of gift cards, up to $350. These are distributed at various points throughout the study as your study tasks are completed. In addition, if you are randomized to the group right away, you have the opportunity to join an optional brain imaging (fMRI) study component. If you are eligible for this, you can receive up to $100 for attending two required fMRI sessions. This means you can receive up to up to $450 if you complete the brain scans and components listed above. This optional study is NOT required. You are guaranteed to be placed in a group within the next seven months. However, because of the study design, a computer will randomize participants into one of two groups: an immediate group or a delayed group. Two-thirds of our participants will be randomized to the immediate group, and the remaining one-third will begin the group in six months. Participants beginning the group in 6 months still complete required surveys and receive compensation, but instead of attending the group, they get a list of community mindfulness resources to use if they wish. We call all participants regularly and provide ongoing support through email as needed. We will call you two days after the orientation to notify you if you have been assigned to start the group right away or in 6 months. If you are randomized to the group that starts in 6 months, once you complete your surveys you do not have any more research obligations and can concentrate on the group itself. This works well for many people. We are proud to offer insurance reimbursable mindfulness groups.  The groups are billed to your insurance as group psychotherapy under behavioral health services or group medical visit (depending on the provider leading the groups) through Cambridge Health Alliance. Depending on your health insurance, you may have a copay each week, or get billed later. The copays are usually 0-$30, just as you’d pay for primary care visits. Please check with your insurance to confirm the amount using the billing code 90853 (group psychotherapy) . If you have been told you require a Behavioral Health Evaluation (BHE), the code is 90791. Your decision whether to participate will NOT affect your care here at CHA. If you have any questions, please email or call us at 617-591-6055.